Start a real one-semester business with classmates in the Integrative Business Experience (IBE). Work on real problems for client organizations. Have the opportunity to include an internship or study abroad experience in your program of study. Team-based classroom experiences in the BSBA in Management help you develop the skills and knowledge necessary for your career. 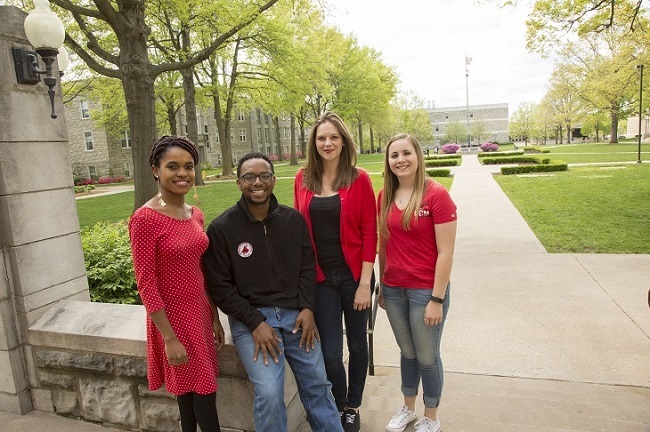 BSBA in Management majors at UCM learn by doing, by helping each other improve and by educating others. Apply knowledge in the classroom. Work with employers in internships and class projects. Work with faculty & mentors with industry experience. Evaluate the performance of yourself and your peers. Reflect on performance and improvement. Manage yourself & relationships via emotional intelligence. Start a real one-semester business with classmates in the Integrative Business Experience. Examine and practice leadership both within and outside the classroom. Design and deliver training workshops. Have the opportunity to include an internship or study abroad in your program of study. Many courses within the Management BSBA include meaningful and relevant interaction with external clients (e.g., client projects). Projects and interactions have helped students link classroom knowledge to applied skills and industry experience. Our students gain feedback from clients and the opportunity to network with local experts. At the same time, they learn the meaning of service and community. 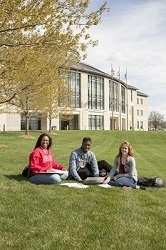 UCM’s School of Business Administration has a unique opportunity called the Integrative Business Experience; we call it “IBE”. IBE is required for many BSBA majors including Management, Entrepreneurship & Social Enterprise, and Events Marketing & Management. Other business majors may also choose to take the 12 credit IBE block. Grossed over $635,000 in revenue. Earned over $370,000 in profits which was donated to non-profit organizations. Donated more than 24,700 hours to non-profits for service projects. Learn specific course content in management, marketing and finance. Write a business plan for a one-semester business. Apply course content to their team’s business. Present their business plan to Equity Bank loan officers. Sell a product and complete a student-led service project for a non-profit. Equity Bank supports IBE through loans to student teams, feedback on loan proposals and funding student advisers. Management majors have many other opportunties to learn inluding internships, study abroad and student organizations. Study Abroad is another great opportunity to expand your experience, resume and horizons. The BSBA in Management can include study abroad within your program of study without delaying your progress towards graduation. Apply knowledge outside the classroom. Compete regionally, nationally and internationally. Expand your network and develop professionally. Win awards and prize money.